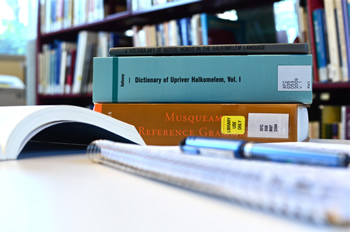 Weaving together First Nations’ traditional knowledge and UBC Biology. Come to the Longhouse on Sept. 18th and check out our displays on The Science of Cedar, The Symbolism and Genetics of the Spirit Bear, and The Coast Salish Wool Dog! 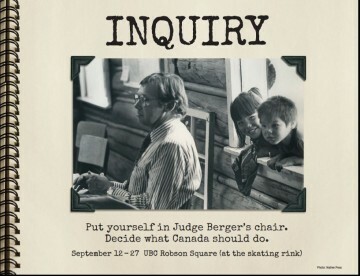 Truth and Reconciliation: What does this have to do with Cell Biology?? 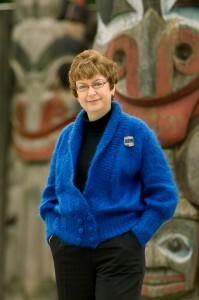 Thursday, September 12th, 7pm-9pm Centre for Interactive Research on Sustainability, 2260 West Mall, UBC Point Grey. FREE. Doors open at 6pm, Sept. 12. 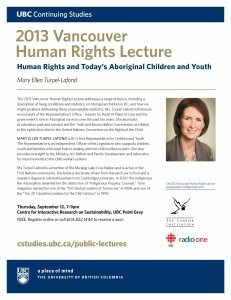 Register online http://cstudies.ubc.ca/a/Course/2013-Vancouver-Human-Rights-Lecture/UP801/ or call 604.822.1444 to reserve a seat. 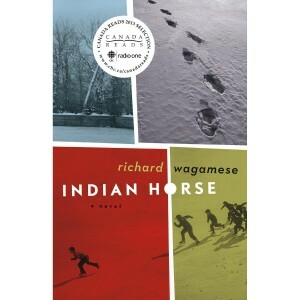 Join us Thursday, October 31st, 2013 at 2:00 in the Lillooet Room (Room 301) at the Irving K. Barber Learning Centre for a reading by author Richard Wagamese from his latest novel, Indian Horse.